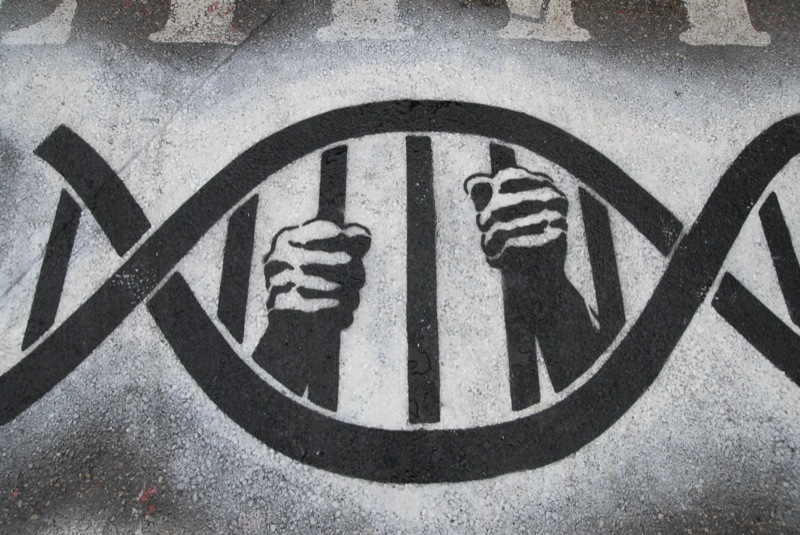 One of the most important topics of 2016 will almost certainly be CRISPR. CRISPR-Cas9 is a gene editing technology that emerged in 2012, when Jennifer Doudna, Emmanuelle Charpentier, and other members of their research team announced that they had successfully hijacked E. coli's CRISPR-Cas9 immune system. The repurposed CRISPR-Cas9 system can be used to alter genes or turn them off or on, and it can be applied to the cells of any living thing -- plant, animal, or human. the creation of gene drives that will eliminate malaria and Lyme disease. Since the science behind CRISPR-Cas9 has been explained in several places already, I will focus instead on the divergent views held by some of the key players regarding the use, and potential abuse, of CRISPR-Cas9. Almost all key players in the fields of science, ethics, social science, and public interest advocacy agree that human gene editing on somatic cells, or normal body cells, is warranted (as long as ethical concerns are addressed), due to the fact that these changes only affect the individual. They are not inherited by the individual's children. The main issue of contention is editing of the human germline -- sperm, eggs, and embryos -- because any changes to the germline are inherited by all subsequent generations. The International Summit on Human Gene Editing took place in Washington, DC on December 1-3, 2015, and was hosted by the US National Academies of Sciences and Medicine, the Chinese Academy of Sciences, and the UK's Royal Society. Attended by representatives from 20 countries, the summit was held with the purpose of discussing the scientific, ethical, and societal concerns of gene editing. David Baltimore of the California Institute of Technology, and Summit Planning Committee Chair, gave words of caution during his summit context presentation. He spoke of experts' heavy responsibility to society and how the "actions we take now will guide us into the future." He warned of the possibility of gene editing technologies being used prematurely or inappropriately. The big question to contemplate, he posed, is when and whether to proceed with conscious alteration of the human genome. 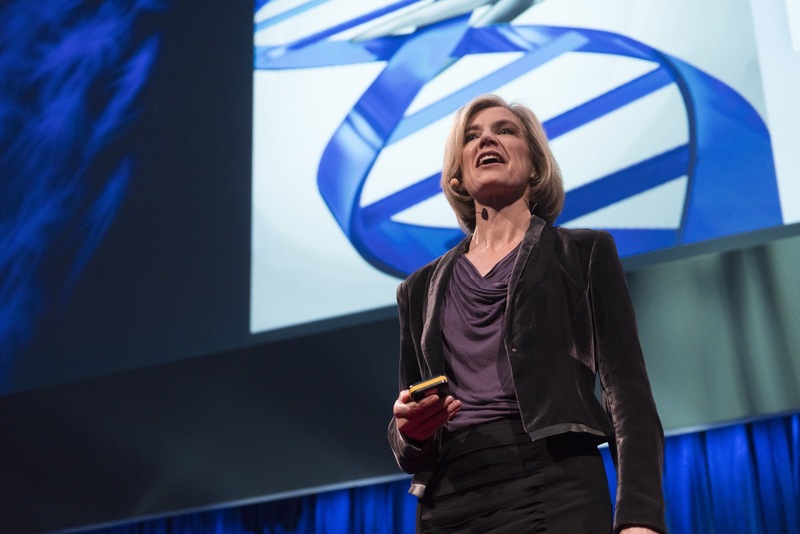 Jennifer Doudna, one of the inventors of the CRISPR-Cas9 technology and a summit moderator, echoed Baltimore's concerns in a recent interview. Though CRISPR-Cas9 could potentially eradicate monogenic heritable diseases like cystic fibrosis, Huntington's disease, and sickle-cell anemia, she believes that we need to proceed with great caution when it comes to editing germline cells. Doudna asserts that since we do not yet know enough about the human genome to safely make these kinds of changes, and since these changes could have unintended and deleterious effects, any attempts to alter germline cells in a clinical setting (in other words, applied to patients) should be restricted for the foreseeable future. "We have seen it in movies before: When a new technology comes along, of any type, people tend to get very, very excited about it and it stimulates lots of thinking and ideas. But the danger is that there is a race to do something that the field isn't really ready for, or that causes either perceived or real danger to the community in some way, or something unethical," Doudna tells Robert Sanders of UC Berkeley. "That creates a backlash that can really set a field back." George Church, professor of genetics at Harvard Medical School, holds what some might see as unbridled enthusiasm for the CRISPR-Cas9 technology. He asserts in Nature that instead of banning germline editing, we should be focused on setting standards for safety and efficacy in germline editing research and application. Church's reasoning is that the current editing that is done on somatic cells can produce germline changes as an unintended by-product, and also intentional exposure to things like chemotherapy and alcohol produces permanent germline alterations. The main point: Germline changes are common, they are a natural process, and many of them are more dangerous than what would be done consciously with CRISPR-Cas9 germline editing. The strongest aspect of his argument, however, is his point that banning germline editing would simply push the practice underground, creating a black market and unregulated medical tourism. The technology is so powerful and compelling, and offers hope to countless individuals and families with genetic disorders, that there is likely nothing that could stop it. 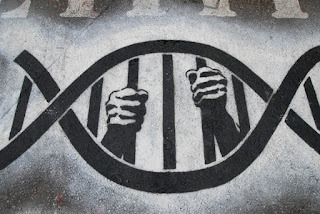 A germline editing black market would be far more dangerous to humanity than an adequately regulated and researched legal practice of germline alteration. During his presentation at the International Summit on Human Gene Editing, Church described how treating single germ cells would be much safer than treating the millions of somatic cells in the body, since each cell alteration adds to the potential risk of cancer. The most problematic stances shared at the summit were those of Hille Haker, Chair of Catholic Moral Theology at Loyola University Chicago, and Marcy Darnovsky of the Center for Genetics and Society. Their approaches were seemingly fueled by fear, pessimism, and a distrust of science. In my opinion, views like theirs are held by those who do not understand the technology and/or do not understand -- or do not appreciate -- the sheer number of benefits that can come from the technology. In the case of Haker, her views are informed by a constricting Catholic view on reproduction and reproductive rights. While it is good to address legitimate concerns and fears, views that are fed almost exclusively by fear and paranoia are not helpful and are rarely successful at promoting human wellbeing. Haker proposed a two-year ban on basic germline editing research along with a permanent international ban on germline editing for reproductive purposes. She spoke of researchers not having enough understanding of the science behind germline editing, yet a ban on basic research would prolong this lack of understanding and would slow down current advances, making her suggestion nonsensical and unrealistic. Haker concentrated almost solely on germline editing being used to help parents fulfill their desire of having children that are genetically related to themselves, yet the main use of CRISPR-Cas9 would be the medical prevention and treatment of what John Harris of the University of Manchester referred to as "a whole range of really misery-creating conditions." If we have life-saving technology, it is unethical NOT to use it. Darnovsky concentrated on the largely unwarranted fears about "designer babies," saying that the "temptation to enhance future generations is profoundly dangerous" and will exacerbate inequality, with the rich being able to afford desirable genetic enhancements, while the poor and racial minorities are restricted from access to such alterations. She misses one of the main benefits of CRISPR-Cas9 technology, though -- that it is inexpensive and accessible. And she concentrates on the worst possible uses of gene editing technology -- those most commonly depicted in Hollywood films and sci-fi novels. Gene editing technology warrants further study and refinement, which should be accompanied by evaluations of potential adverse consequences. But progress should not be hindered by an ethical debate about a potential misuse of the technology that will not be possible. Polygenic diseases and traits are simultaneously too complex genetically and not genetic enough. This limits the opportunities for disease prediction, and will also prevent the genetic enhancement of babies. In sum, while most scientists are concerned about potential unintended consequences of germline gene editing, like leaving an individual or family open to contracting certain bacterial or viral illnesses, or passing on genetic problems other than those they were treated for, other "key players" are focused on consequences that are not even possible. While I believe that "designer babies" could be a prospect at some point in the future, expending considerable energy on worrying about this issue now does nothing to expand our current knowledge of gene editing technology. One of the most balanced views expressed at the International Summit on Human Gene Editing came from Sharon Terry, president and CEO of Genetic Alliance and mother to two grown children with a rare genetic condition called pseudoxanthoma elasticum. Her efforts with Genetic Alliance include working to accelerate the development of medical interventions for genetic disorders. She called for "tempered urgency" in the research and development of gene editing technology, saying that the needs of patients and their families are "enormous and immediate," but we must "pace ourselves in a responsible way." Unlike some of the other more extreme stances that were voiced during the summit, Terry stated that we should not feel forced to choose between regulatory dialogue and technology development, but that the two can exist concurrently. Her position is the most conducive to responsible utilization of CRISPR-Cas9, as she has not been blinded by enthusiasm for the technology, nor has she allowed herself to become overwhelmed with fears of the unknown. Siding with the key players with the most moderate stances, the summit committee reached an agreement at the end of the third and final day of the summit. The committee will not be seeking a ban on human germline editing research, but they state that scientists should not use modified embryos or germline cells to establish a pregnancy. Additionally, they state that it is considered irresponsible to proceed with any clinical use of germline editing until a societal consensus is reached. How these conclusions will be implemented is not included in the committee's statement, though more in-depth proceedings have been scheduled for February 11-12, 2016. Jinek, M., Chylinski, K., Fonfara, I., Hauer, M., Doudna, J. A., & Charpentier, E. (2012). A programmable dual-RNA-guided DNA endonuclease in adaptive bacterial immunity. Science, 337(6096), 816-821.